- This particular design comes in 3 sheets. 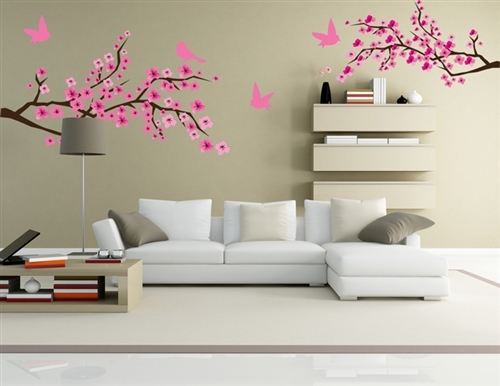 All flowers, birds, and branches come separately so you can place them however you choose. This has made a world of difference in my home! It was incredibly easy to apply and looks like it was hand-painted on the wall! I especially love that it is removable and re-usable so I don't have to worry about damage to the walls, and I can take it with me when I leave! Plus, the price was very affordable! It did however take some time to put up. But it was well worth the time.